San Keller is a manager researcher at AIR. Dr. Keller provides intellectual leadership for the design and evaluation of psychometrically-based measures of health and health care and is principal investigator of NIH’s Patient-Reported Outcome Measurement Information System (PROMIS) Network Center. Dr. Keller is an expert in the cross-cultural development and validation of patient-reported outcomes (PROs) and in the development of interpretation methods for PROs as well as measures of patients’ experience of health care (for example, patient-centered communications, satisfaction, shared decision-making, care coordination). Dr. Keller is a strong behavioral and health services research methodologist whose experience spans experimental and quasi-experimental design and analysis. She has documented the results of her research in more than 55 journal articles, books and book chapters, and in numerous technical reports and professional presentations. Dr. Keller has 15 years of experience developing measurement programs for policy makers at the federal level. She directed, or participated in the development of, a wide variety of measures of patients’ health care experience for the Agency for Healthcare Research and Quality’s (AHRQ) Consumer Assessment of Healthcare Systems and Providers (CAHPS) programs. These measures were designed to evaluate the quality of care delivered in cancer centers, clinician and group practices, commercial health plans, dental health plans, disenrollment in health plans, hospitals, hemodialysis centers, Medicare, Medicaid, nursing homes, pharmacies, and across surgical specialties. For the Centers of Medicare and Medicaid Services (CMS) she developed systems for population health monitoring for Medicare in general, and for Inpatient-Rehabilitation Facilities in particular. Most recently, Dr. Keller was principal investigator for the National Heart, Lung and Blood Institute’s (NHLBI) Adult Sickle Cell Quality of Life Measurement System (ASCQ-Me). 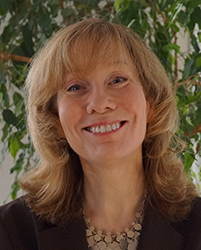 She led the development of a scoring system based on Item Response Theory (IRT) and software administration system that uses Computer Adaptive Testing (CAT). Dr. Keller also has several years experience consulting with private industry on the development, evaluation and interpretation of PRO measures of outcome for use in clinical trials of therapy. These projects included an evaluation of the validity of a cancer pain measure (the Brief Pain Inventory) for use in clinical trials of therapies for nonmalignant pain as well as research on generic and condition-specific measurement supported by Eli Lilly, Janssen Research Institute, VasoMedical, Inc., Amgen and Pfizer (among others) in the following disease areas: Alzheimer’s disease, amyotrophic lateral sclerosis, asthma, epilepsy, hepatitis-C, insomnia, migraine, prostate cancer, psoriasis, rheumatoid- and osteoarthritis, and seasonal allergic rhinitis. She has also served as a consultant on evidence-based review methodology for medical specialties.